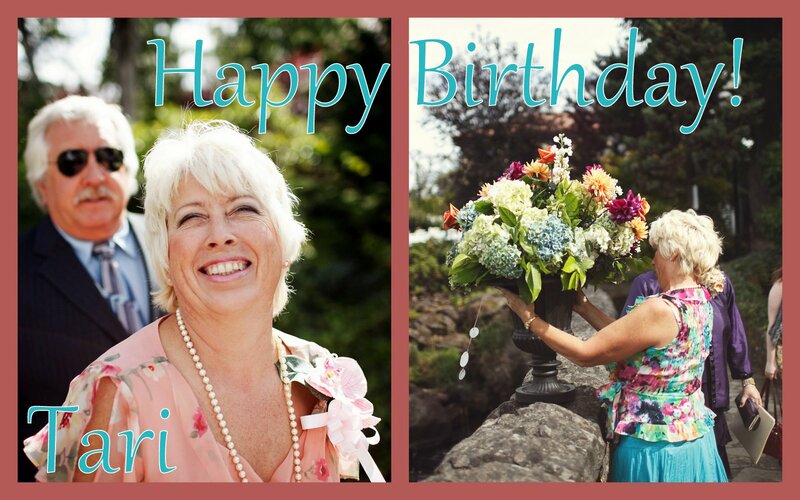 Special birthday wishes to my friend, Tari. Your creativity and passion for life always inspires me. Friends since our teens, our mutual interests and perspectives on life provide common ground, while our dramatic differences keep life interesting. Having a friend who can wield a hammer and wire a house, as well as whip up a floral design and stitch a lovely seam, exibits diversity not seen in many. Hours of deep and thoughtful conversations over cups of Yunnan Gold seal the deal. This friendship is for "keeps". I hope the year ahead is blessed with many good things. Enjoy your day! Happy birthday to you! Friends such as this are such a gift! Tari sounds like one amazing gal...a very happy birthday to her. Happy Birthday to your dear friend. I hope the two of you have an opportunity for many cups of Yunnan Gold together to celebrate birthday month. Oh yes, it is time for you to celebrate too. Such a beautiful tribute to a very special friend. May your friendship continue to blossom over the years. I cherish my high school buddy.... we were to grow old together.... until she passed away suddenly two years ago. I miss her deeply.